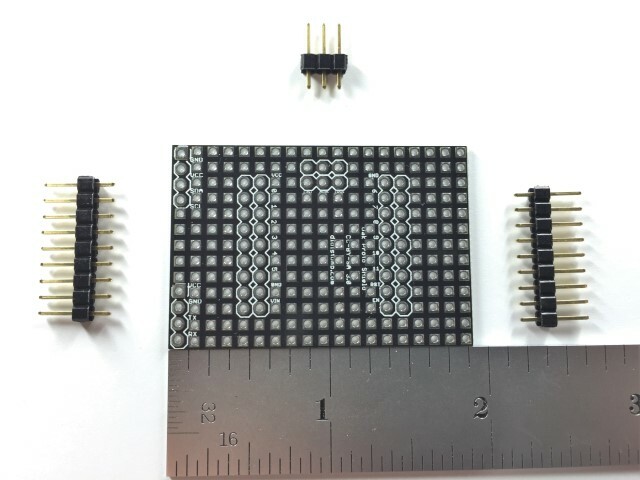 The Prototype Shield Kit breaks out the connections on the Digistump Oak development board and provides a small through hole soldering area for building custom circuits. 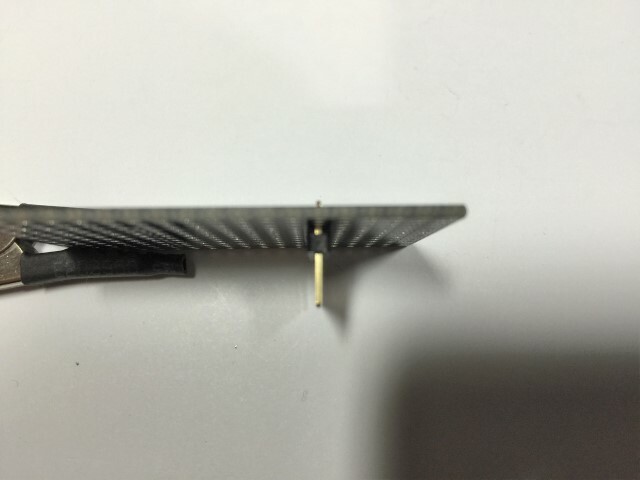 Cut or Snap a length of two male headers 9 pins long and one 3 pins long. 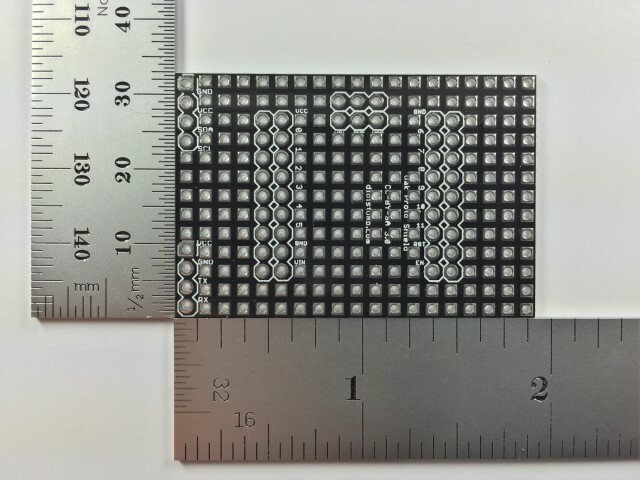 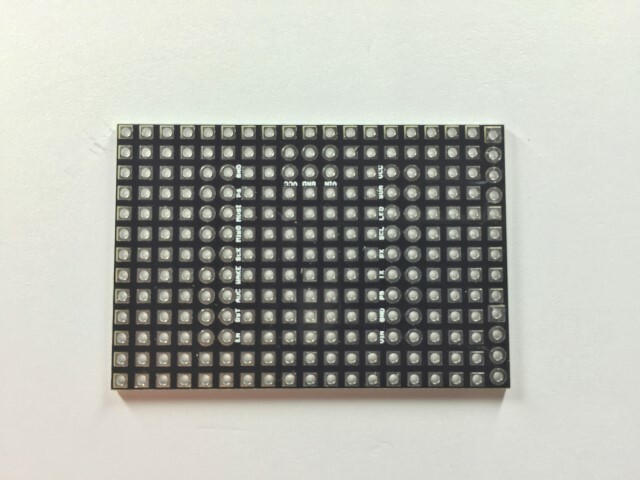 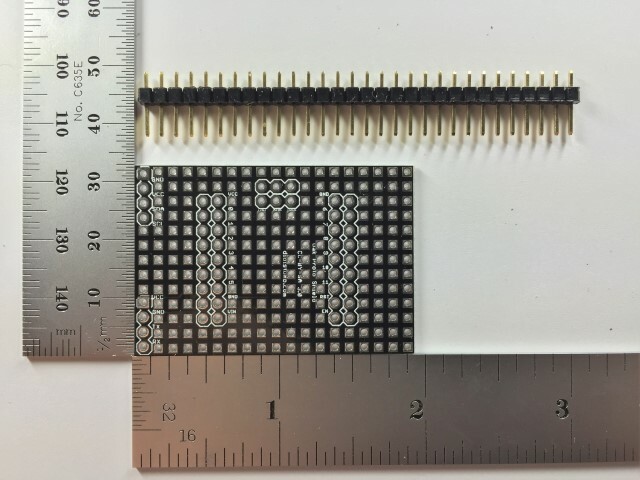 Insert into corresponding positions (on the bottom of the board) and solder each pin. 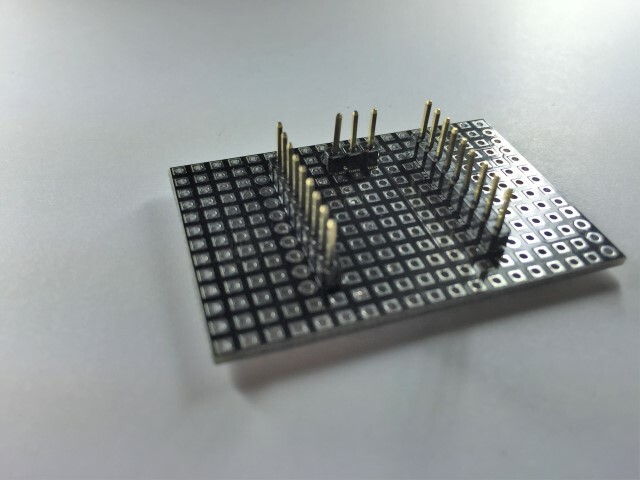 Tip: Inserting the headers into a breadboard and then placing the board on top can make this process easier. 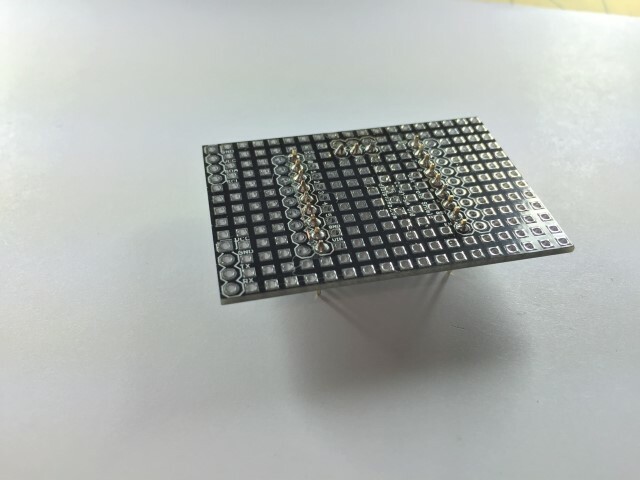 Be caureful not to heat the headerpins to the point that it melts the plastic surrounding the pin or the breadboard. 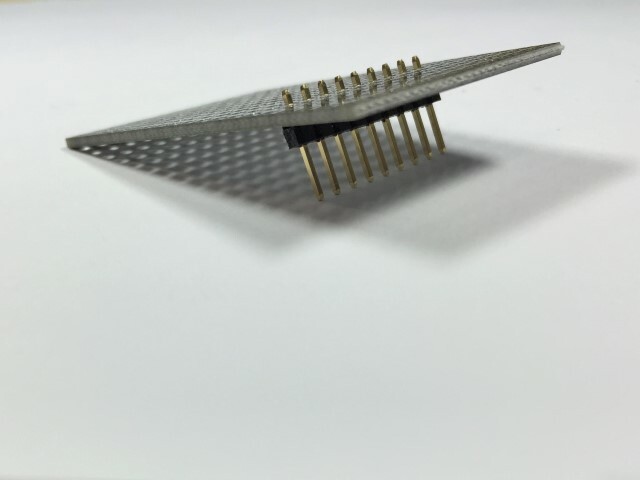 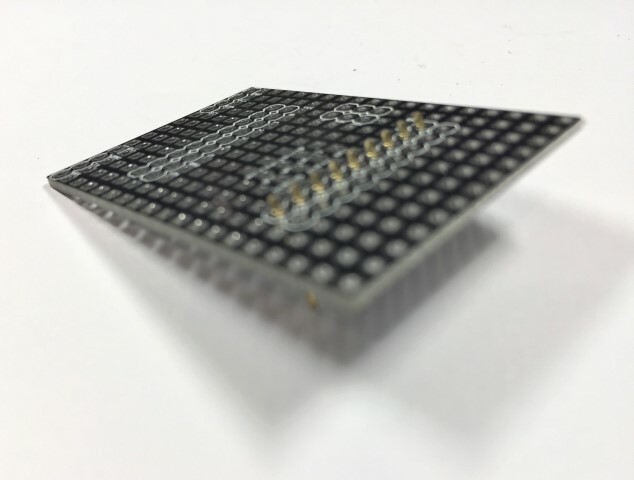 Tip 2: If not using the above tip, solder one pin then check that the header is in the right position and is square to the PCB before continuing the rest.